Medica Kosova and representatives from women’s organizations in Albania, Montenegro, Macedonia, Bosnia and Serbia participate in an advocacy training and a number of study activities in the beautiful capital of Lithuania, in Vilnius. The two-day workshop on gender analyses effectively delivered by Nicole Farnsworth from Kosovo Women’s Network contributed in increasing capacities among over 20 participants in the area of research for preparing a policy paper towards more gendering EU policies; including design of gender-sensitive IPA programming. Apart from interactive workshop, the visit included review and discussions about the work of the EU Institute for Gender Equality EIGE based in Vilnius. Participants had the opportunity to learn about the role of this Institute in collecting data on the situation of gender equality in EU member states and cooperation with pre-accession countries in the Western Balkans. In this regard, development of Gender Equality Index in Macedonia, Kosovo, Albania, Montenegro and Bosnia is an important activity which EIGE welcomes to take place during 2018 and the next two years. Special part of this visit was the meeting taking place in the Swedish Embassy in Lithuania organized by the Swedish Ambassador Maria Christina Lundqvist who supported exchange of experiences with women’s organizations from Vilnius. Since being a relatively new country that joined the European family, the meeting revealed challenges and opportunities of advancement of women’s rights during and after the accession of the European Union. 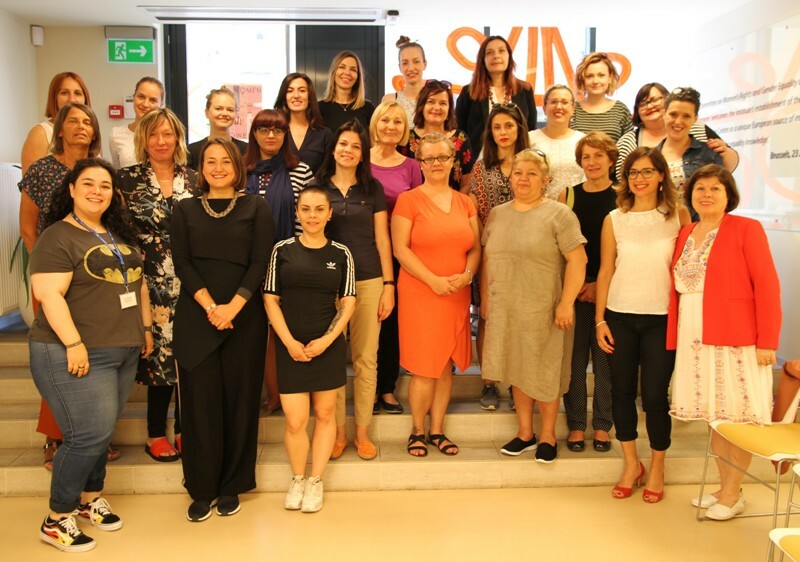 Gendering Western Balkans is a five-year program financed by the Swedish Agency for International Development and Cooperation SIDA and implemented by Kvinna till Kvinna Foundation in cooperation with its partner organizations in the Balkan region. Medica Kosova is grateful to Kvinna till Kvinna for this wonderful opportunity of learning, sharing, networking and seeking for possibilities of addressing more gender-sensitive policies at EU.